I’ve already written previously that I consider Felix Mendelssohn an underrated composer. Well, here’s another proof, if needed. 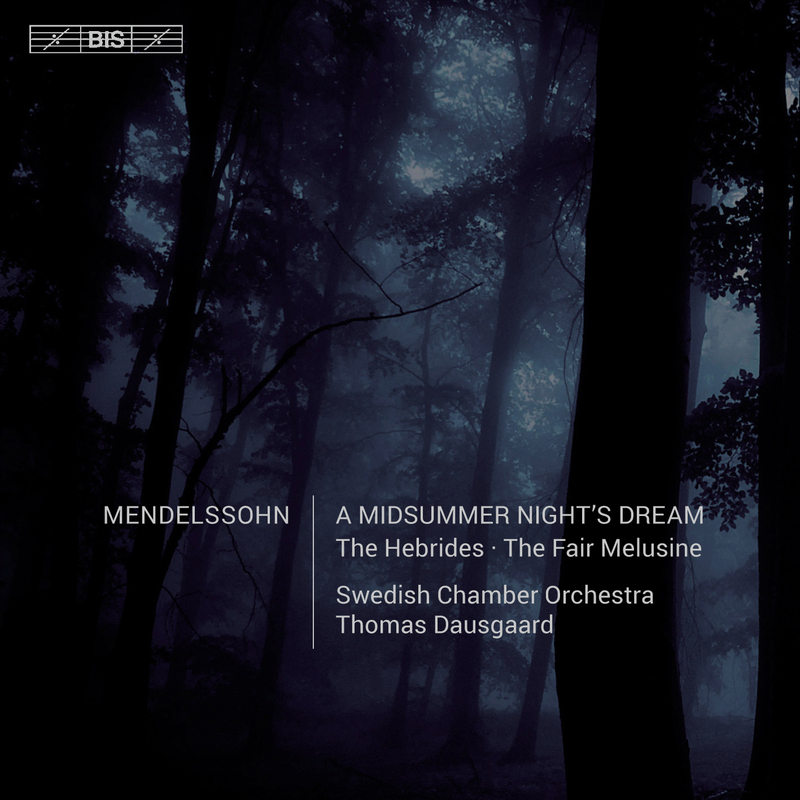 Mendelssohn’s opus 21, Ein Sommernachtstraum after Shakespeare’s comedy A Midsummer Night’s Dream, is probably one of Mendelssohn’s most popular works. Not only for the music itself, but obviously because of the most important “hit”, his wedding march. (Small parenthesis, it took me until after my own wedding to figure out that there are two world-famous wedding marches, this one, and the one taken from Wagner’s Lohengrin, nowadays known from American RomComs as “Here Comes The Bride”. If you read the story of Lohengrin, and the sad ending with Lohengrin having to leave and Elsa dying, you wonder why everybody wants this to be played at your wedding. Well, during my own civil ceremony, not realizing I should have been more specific, I just had ordered “The Wedding March” thinking of Mendelssohn, and ended up getting the Wagner one. Well, lesson learned. Lucikly, no swan nor dove has taken me away yet). Have I already mentioned how much I appreciate BIS? It is really one of those amazing smaller labels that really care about music, like Hyperion, or Chandos, and that is giving the major labels a hard time. Luckily for us, they care about music and about sound quality, and are always exceedingly well recorded. I already have a number of Dausgaard’s recordings with the Swedish Chamber, and am especially fond of his Schumann. So when this recording was flagged to me, I didn’t hesitate long, as this is just the right music for this ensemble. Dausgaard’s tempi are always fast, there’s tons of energy and drive, and the smaller size of the Swedish Chamber sounds just right here. On top of Shakespeare, you get the rather well-known Hebrides overture (beautifully played), and the Schöne Melusine overture which so far was unknown to me. Obviously, like everything Mendelssohn, it is a charming work and well worth discovering. You can get it from the label’s own shop, classical. At the time of writing, the 24/96 version of the album is even discounted. This only lasts some weeks usually, so if you like it, get it now). UPDATE Jan 4, 2016: Gramophone has just very positively reviewed this album in it’s January 2016 edition. They would love to see this as the beginning of a Mendelssohn symphony cycle, and I wholeheartedly agree! Does the record feature a narrator reciting some of Shakespeare’s verses or is it an instrumental recording only? I discussed in one of my first posts a recording by the Boston Symphony Orchestra with Judi Dench as a narrator. Brilliant. I have to agree in considering Mendelssohn an underrated composer. So much focus is given to this one piece, yet so much of his oeuvre is excellent; his chamber music, especially, is astounding. All worth a listen, and even I feel guilty of not giving him the listening that he deserves. Couldn’t agree more, and I diligently take note that I need to cover more of his other works.